Take a look at our quick guide to guest house and B&B insurance. When running guest house or B&B accommodation, there could be many elements of your business that are exposed to different risks. Your job is to identify these risks, and decide which policies offer your business the right protection. To help simplify this process, insurance providers will typically group individual policies into packages. Guest house insurance, also referred to as bed & breakfast insurance, is a package designed to include the policies that are relevant to protecting a guest house against risks such as damage, theft and injury. What does insurance for a bed and breakfast cover? When taking out guest house insurance, you can typically expect the following policies to be included, as they protect against the risks most pertinent to a B&B. Buildings insurance: As a guest house, one of your most important assets may be your business premises. Buildings insurance should be a cornerstone of your guest house insurance package, to ensure that the physical structure of your building, and any permanent fixtures or fittings, are being properly protected against risks such as fire or flood. Contents insurance: It is likely you have spent a lot of money on the furnishings in your guest house – both within guest rooms as well as communal areas. Tools and equipment insurance: To cover items such as kitchen or bar equipment. Stock insurance: To cover any business assets in the form of unused stock. Cash on premises: To cover business finances you may have stored on site. Public liability insurance: Guests are essential for a B&B, and if an accident occurs that causes injury to a guest, or damage to their property, you may have to defend against a legal claim. Public liability insurance could offer financial support for a legal defence and third party compensation. Click the link for a public liability insurance quote. 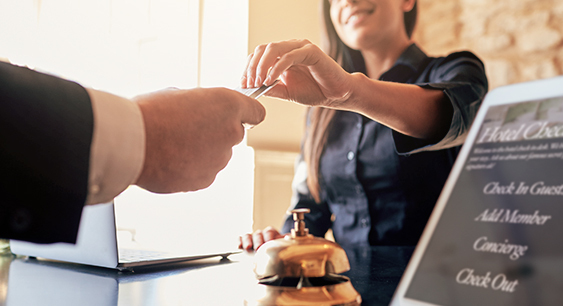 Employers' liability insurance: In most cases, guest houses employ staff, so they’ll require employers’ liability insurance. This policy can provide protection in the event that a member of staff becomes ill or injured as a direct result of their work. Employers’ liability can offer financial support to help fund a legal defence if a damages claim is made against your business. Product liability insurance: Product liability insurance could provide protection if someone were to injure themselves or become ill due to a product your business is linked to. This is especially relevant to a bed and breakfast because it can cover your business for any illness caused by food or drinks that have been served to guests. For a product liability insurance quote, click the link. Business interruption insurance: If your business is impacted by an unforeseen event and must temporarily close, for example due to damage caused by a fire, then business interruption insurance could cover the costs of any ongoing overheads, such as rent and salaries. In some cases, your policy could also cover revenue lost during closure.